What is one thing you learned at Rutgers that has helped prepare you post-graduation professionally or personally? : Critical thinking is just as important as memorization. What is a part of your identity that you discovered while at RU (passion for something, political beliefs, etc)? : Wanting to see others like myself succeed in a field that we are considered a minority in. 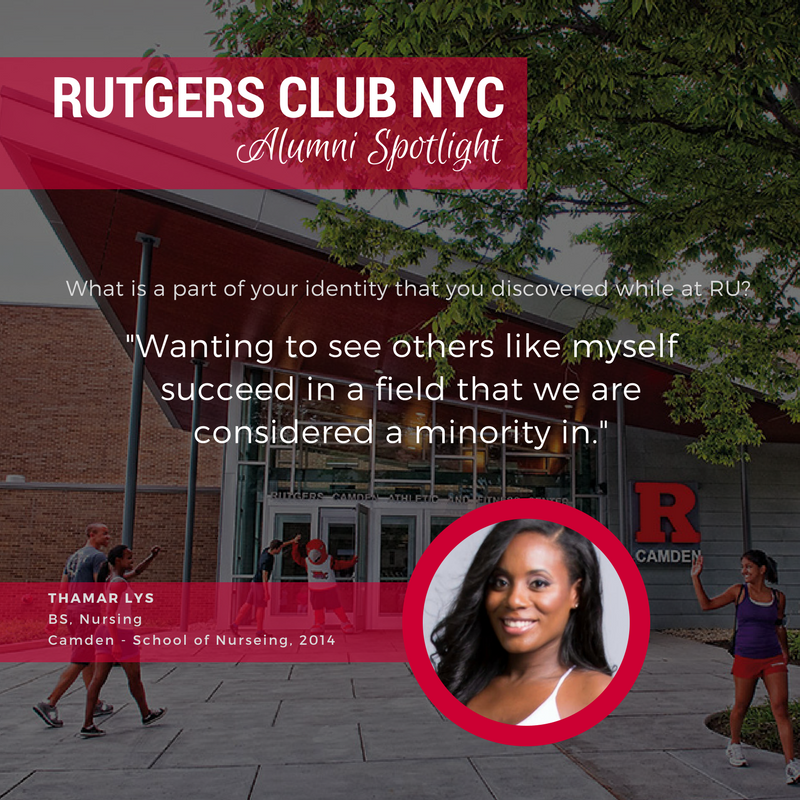 How has your Rutgers education or network help get you where you are today? : My education allowed me to be employed in my profession within 3 months of graduation and 1 month after taking state licensing exam. If you could share one piece of advice with a current freshman, what would it be? : Keep your eyes on the goals you set for yourself prior to attending college but don’t lose sight of all the opportunities around you. Find a balance for your studies and living your best life.